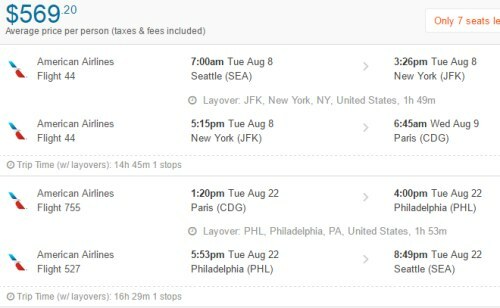 American Airlines has dropped the price of their 1-stop flights from Seattle to Paris, France in August down to $569 CAD roundtrip including taxes. 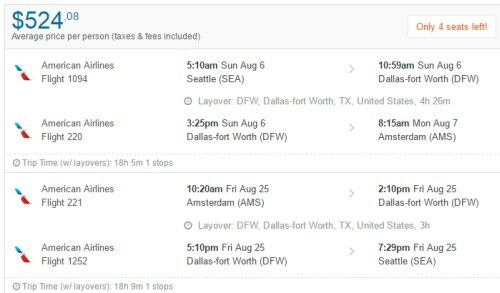 There are also some flights from Seattle to Amsterdam, Netherlands in August for $524 CAD roundtrip including taxes. From Vancouver, the cheapest flights in August are currently $1050 to $1200 CAD roundtrip. Available dates seem to be disappearing pretty quickly. Update @ 12:00 PM PST - Looks like prices have returned to normal. 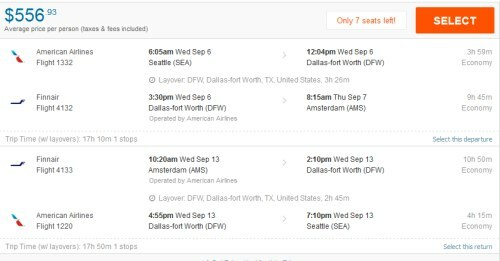 This is about 40% cheaper than September 2017 prices from Vancouver to Amsterdam. 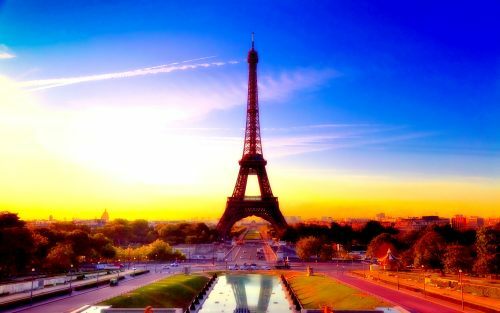 flight deals, seattle, sea, europe, american airlines, western europe, amsterdam, ams, netherlands, paris, france and cdg.